Choosing to end a marriage is a pivotal time in a person’s life. 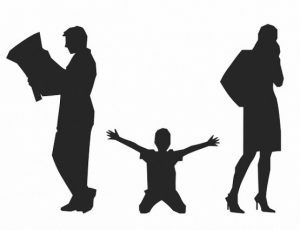 If children are involved, the entire family unit is turned upside down for the duration of the divorce period. Plus, proceeding with a divorce is costly both financially and in terms of irreplaceable time. In Illinois, the average cost of divorce ranges from $40,00 to $30,000. With minor children, property division and alimony issues, a divorce can be upwards of $20,000. Divorce is expensive. Factors that contribute to the high cost of divorce include court filings, sharing documents and payment to expert witnesses, such as financial analysts or appraisers. In Illinois, a divorce stemming from fault, like adultery, impotence, cruelty, substance abuse or abandonment, can lead to even pricier divorces. The cost of divorce simply gets higher when couples require a judge to resolve, for instance, property division battles or child custody issues. Spouses who are able to settle prior to the trial pay a markedly lesser price to finalize the divorce. So here’s how to file for divorce without a lawyer. Settling prior to trial makes financial sense. Spouses in Illinois have the option to settle through a process known as mediation, which allows parties to file for divorce without a lawyer. Mediation negotiations allow both parties to mutually agree on relevant issues. Spouses have significant control over the solutions to their conflicts during the mediation process, rather than having a judge govern the outcomes during trial. Both spouses meet with the mediator, providing financial documents and relevant forms during the discovery process. Over the course of one to four meetings with the mediator, negotiations take place surrounding important issues, like child support, parental time and property division. The mediator takes into account the discussions and drafts a Memorandum of Understanding. Once mediation has been completed, spouses can file for a divorce with or without a lawyer (depending on the preferred method). While divorces handled by a mediator are quicker and cost-effective, mediation is not for everyone. The key to a successful mediation is mutual agreement between spouses. The only way to make mediation a viable solution is if both parties agree to the divorce and work together to achieve practical solutions. When one spouse wants a divorce and the other doesn’t, the full cooperation that is necessary for a successful mediation will prevent the mediation from taking place. Mediation, being a voluntary process, is not an option when conflicting interests are present. In instances when a divorce is not a shared decision between spouses, a divorce lawyer can step in. One spouse will need to hire a divorce attorney, who will then serve divorce papers to the other spouse to start the litigation process. Divorce proceedings require gathering a significant amount of personal information. When one spouse opposes providing the necessary details in a “good faith” negotiation, a divorce lawyer can help. A divorce attorney will petition the courts to legally compel the other spouse to provide the necessary paperwork and documents necessary to move the divorce forward. Mediations require the collaboration between two competent spouses. A wife or husband who wishes to file for divorce from an incapacitated spouse, however, will not be able to do so without the services of a divorce attorney. An incapacitated spouse, for instance, may be under the influence of drugs or alcohol, may be unable to make decisions independently or may be mentally unstable. Mediation is not a feasible option in these instances. Without the incapacitated spouse having a suitable court advocate, the divorce settlement could potentially be thrown out by the courts. Divorcees are unlikely to want to repeat the divorce process if, somewhere down the line, the incapacitated spouse claims he or she did not comprehend the situation. Divorce lawyers are especially valuable to the divorcing party when the other spouse refuses to disclose all marital assets and liabilities. The divorce lawyer has the power to subpoena all necessary financial documents during the litigation process. A mediator does not have the legal authority to compel this type of disclosure. Despite the financial attractiveness of a hiring a divorce mediator, filing for a divorce without an attorney is not always a workable option. Mediation functions well during an uncontested divorce. Most divorces, on the other hand, are messy, with one party refusing to divorce or unwilling to disclose all financial assets. Division of assets and property, including retirement benefits, stock options and business interests. When you are seeking a divorce and your divorce is simple (without children or uncomplicated financial assets), you will benefit from hiring a less experienced attorney. However, should your situation be complex, with the involvement of custody battles and substantial assets, seek the services of an experienced divorce attorney who is familiar with the current and changing laws in Illinois. The divorce lawyers at Berry K. Tucker & Associates, Ltd. have over 50 years of experience handling various aspects of divorce, both contested and uncontested. Spouses looking for a divorce lawyer will find ease in knowing that our divorce attorneys at Berry K. Tucker & Associates, Ltd. are skilled in spousal support, parenting time, division of property and post-decree issues, among other areas of expertise involved in divorces. Berry K. Tucker & Associates, Ltd. offers competitive strategies to help you navigate through the complex routes of divorce and determine what’s best for your needs. We reliably service the Oak Lawn, IL area and surrounding communities. Give us a call at (708) 425-9530 to speak with one of our experienced attorneys.